In the eighteenth and early nineteenth centuries, a Native American empire rose to dominate the fiercely contested lands of the American Southwest, the southern Great Plains, and northern Mexico. 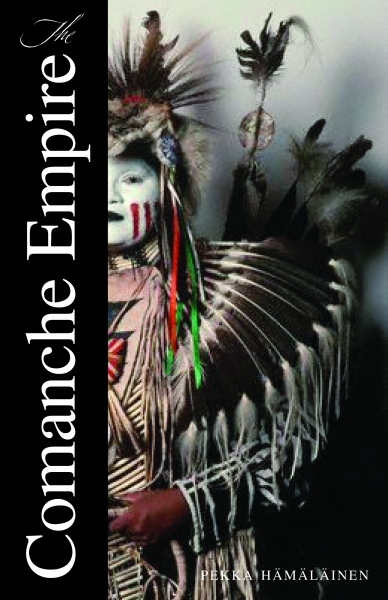 This powerful empire, built by the Comanche Indians, eclipsed its various European rivals in military prowess, political prestige, economic power, commercial reach, and cultural influence. Yet, until now, the Comanche empire has gone unrecognized in American history. This compelling and original book uncovers the lost story of the Comanches. It is a story that challenges the idea of indigenous peoples as victims of European expansion and offers a new model for the history of colonial expansion, colonial frontiers, and Native-European relations in North America and elsewhere. Pekka Hämäläinen shows in vivid detail how the Comanches built their unique empire and resisted European colonization, and why they fell to defeat in 1875. With extensive knowledge and deep insight, the author brings into clear relief the Comanches’ remarkable impact on the trajectory of history. This entry was posted in Books and tagged the comanche empire. Bookmark the permalink.